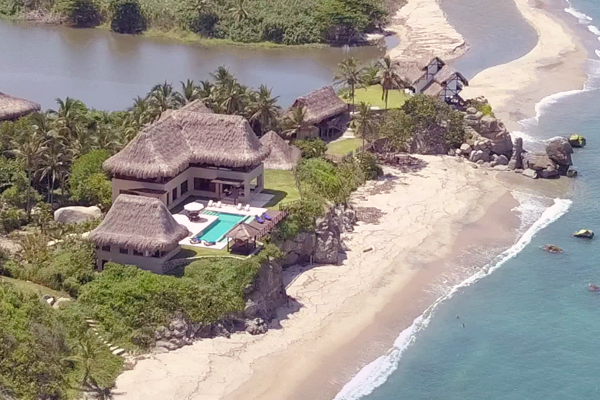 Ecohabs Tayrona: Exclusive bungalows along Cañaveral beach in Tayrona National Park. This is the only one inside the Park. You can access directly by car. 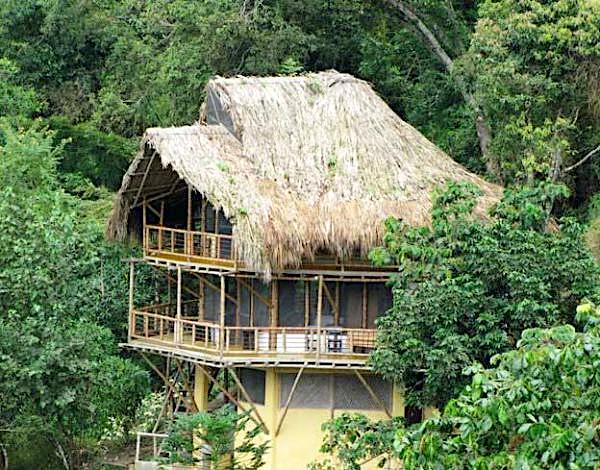 It's the most known and requested tayrona park accommodation. 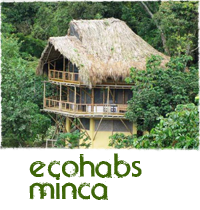 Ecohabs Minca: A relaxing array of cottages in the heart of Sierra Nevada, with a priceless view of the mountains, rainforests and at only one hour from the beach. Minca is the first town of Sierra Nevada de Santa Marta, the nearest beach is at one hour by car. 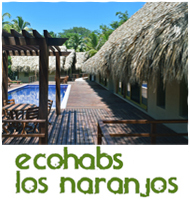 Ecohabs Los Naranjos: A new accommodation by the sunny beach of Los Naranjos, conforms by 8 large cabins in the middle of palms, bambus and vegetaion in the jungle, totally in harmony with the nature and at only 2 minutes walking from Los Naranjos beach. 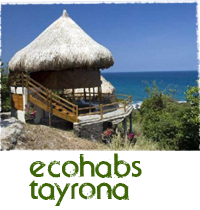 Ecohabs Taganga: Beautiful bungalows in Playa Grande, Taganga, where Tayrona Park begins, it's the closest ecohabs to Santa Marta city. You can access to Tayrona Park from there by boat. The beach has crystal waters. 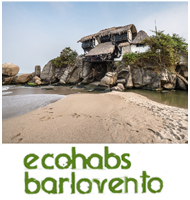 Ecohabs Barlovento: On a rock on the Los Naranjos beach, you will find our main cabin, with 3 rooms and 2 shared bathrooms. And a second cabin with 6 rooms with private bathrooms. It is one of the most special places in all Colombia as mentioned by the prestigious magazine Lonely Planet, where the river Piedras meet the Caribbean sea and at only 5 minutes by car from Tayrona Park. 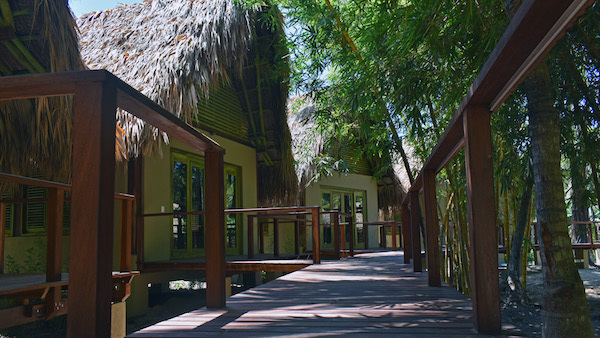 With these unique locations, staying in an ecohab in Santa Marta is a perfect getaway option to reconnect with nature. 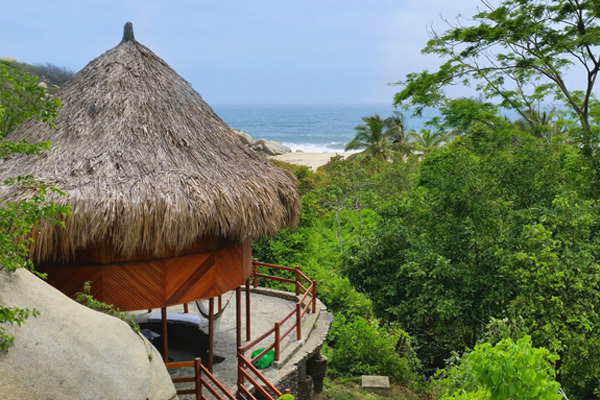 Take a long walk down the coast, learn about organic farming, read a book while overlooking the rich forest landscape, or take a nature tour of Tayrona Park. This type of Santa Marta accommodation is a great choice for couples, small families and singles looking for something special for their unforgettable holiday in Santa Marta. 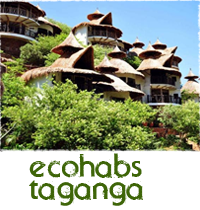 Anyway, if you are looking for Hotels in Tayrona Area, we can offer you more options around the area, we have the best Tayrona National Park Hotels where you can relax with the sound of the sea and nature. Click here to have a look. Unlike your usual Santa Marta hotel, the ecohab gives you more privacy and independence for travellers. Enjoy a peaceful and comfortable stay amidst nature at its finest—whether on the beach or in the mountains. These comfortable cabins have been integrated into the natural setting, built in a way that does not damage or disturb the natural surroundings. 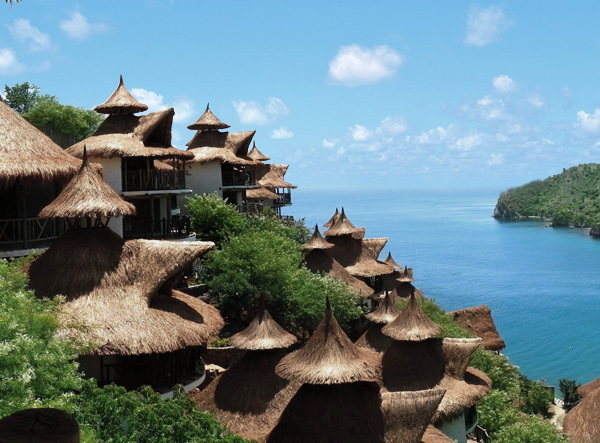 Each hut is constructed using mainly natural materials like palm roofs, stones and wood, and ethnic elements (inspired in the ancient huts of the Tayrona tribe). From april the 1st 2017 it is recommended the yellow fever vaccine to enter the Tayrona National Park. Within this rustic look and feel, these ecohabs offer all the services and comforts of a modern hotel with modern installations.